Home » Latest Research » Article » Could a Daily Dose of Curcumin Improve Your Memory? Curcumin gives curry its golden-yellow color and is used to dye cosmetics and clothing, but does it also belong in your daily supplement line-up? While researchers believe that a Mediterranean-based diet could help prevent Alzheimer’s, a recent study supports growing evidence that curcumin, the substance that also gives turmeric its bright orange color, could improve cognitive function as well. In a recent study, researchers found that consuming curcumin improved participants’ memories and mood. The 40 participants in the double-blind, placebo-controlled study were between 51 and 84 years old. They took cognitive tests before consuming curcumin or receiving a placebo; the tests found their memories were consistent with normal aging or mild cognitive impairment (M.C.I.). 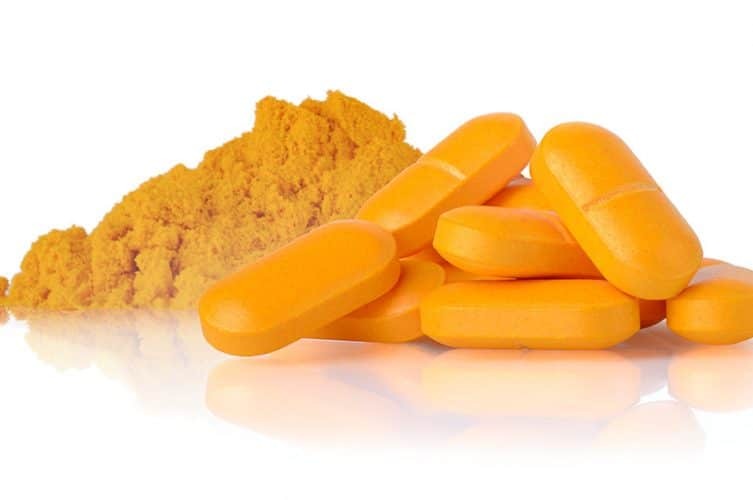 After being randomly assigned to take 90 milligrams of curcumin, or a placebo, twice per day for 18 months, researchers found that those who took curcumin improved in memory tests by 28 percent, while those who received the placebo did not. According to Dr. Gary Small, director of geriatric psychiatry at UCLA’s Longevity Center and of the geriatric psychiatry division at the Semel Institute for Neuroscience and Human Behavior at UCLA, the results are encouraging. His team plans to conduct a follow-up study with a larger sample size and to explore whether curcumin’s effects vary, based on participants’ genetic risk for Alzheimer’s. Small said his team was initially interested in curcumin’s effects because of epidemiological studies on Indian populations that found there are fewer people with Alzheimer’s disease in India, compared to other parts of the world. Small acknowledges many factors could account for this difference, including the population’s community-based culture, which may help people avoid loneliness, a risk factor for Alzheimer’s. However, his team wondered if the population’s spicy, curcumin-heavy diet could also account for the lower incidence of Alzheimer’s. 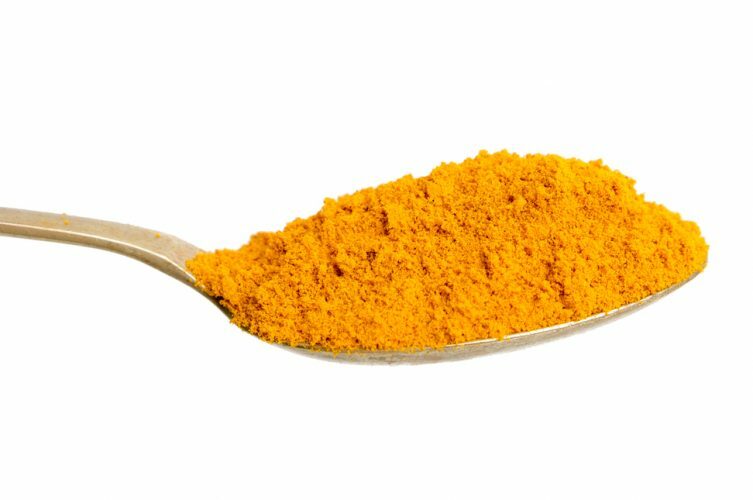 Although Small said his team is still not certain how curcumin benefits brain health, he thinks its anti-inflammatory effects could play a role in protecting the brain. Being Patient spoke to Small about his study, how much curcumin people should take to improve their memory and future studies on the ingredient. Being Patient: Curcumin is an ingredient in turmeric. Can you tell us more about it? Dr. Gary Small: It’s a spice. About 5 percent of turmeric contains curcumin. It’s been used in Asia medicinally for thousands of years to treat a variety of problems, from skin problems to arthritis. We got interested in looking at curcumin because in the laboratory, it seemed to have anti-inflammatory effects, as well as anti-amyloid and possibly anti-tau effects. Everybody who’s been involved with Alzheimer’s disease knows that these abnormal protein deposits—amyloid and tau—are very much linked to the clinical disease. Being Patient: You conducted a human research trial on curcumin’s impact. Who was tested and what did you find? Dr. Gary Small: What first got our attention was that there were epidemiological studies that showed that in India, where they consume a lot of spicy foods like curry, which has turmeric and curcumin, there was a lower rate of Alzheimer’s disease, compared to in other countries. Of course, that’s what a lawyer might call circumstantial evidence; it doesn’t prove cause and effect. But the basic scientific evidence that I alluded to—the anti-inflammatory effects, anti-amyloid, anti-tau and even antioxidant effects—suggested it might be brain protective. People had studied this before, but primarily, they were negative studies. Doctors had taken some forms of curcumin and given them to patients who already had dementia. We had done some studies almost a decade ago, where we used an anti-inflammatory drug to treat people who did not have dementia, but who were at risk for dementia. A lot of studies show that if you’re going to have this anti-inflammatory effect, there’s a tipping point when it’s brain protective versus maybe even accelerating cognitive decline. So we targeted a group who we thought would benefit most from curcumin’s potential effects that might help the brain: those in the mild stage of cognitive decline who did not yet need help from others. There were several puzzles: 1). How much curcumin do you give people? 2). What form of curcumin do you use? It almost took us longer to decide on those research questions than it did to raise the money. 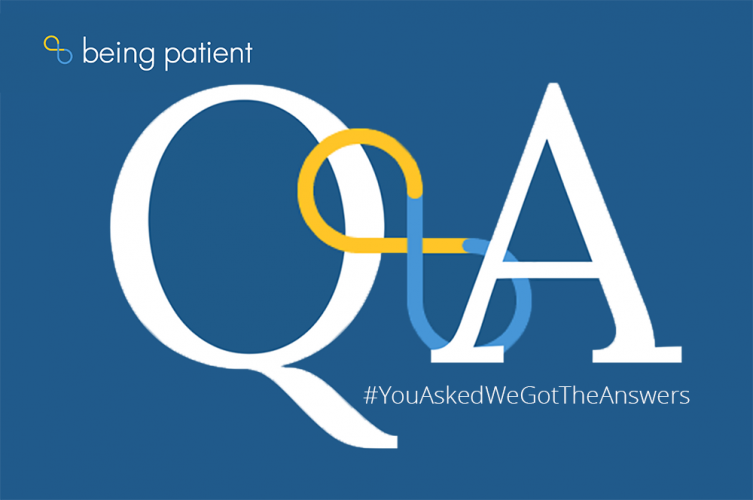 Being Patient: How did you answer those questions before you conducted the trial? Dr. Gary Small: I have a quote on my desk from Einstein that says, “If we knew what it was we were doing, it would not be called research, would it?” There’s no perfect research study, but you have to consider all of these issues, so it involved talking to experts around the world, to different companies that manufacture these products and looking at all of the literature. It was hard to get consensus among the experts. Everybody had a different opinion and at a certain point, we just had to make an educated decision about what to do. We found a company in Japan that was producing this form of curcumin that looked like it was more bioavailable than what the other companies were producing. In fact, you could dissolve it in water. Some of the other forms that we checked wouldn’t dissolve in water and it was hard to use, so we finally decided to use that. In terms of dosing, we wanted to make sure people got enough of a dose. There’s a type of study called a “dose finding study,” where you give people different doses, but we didn’t have enough money to do that. So we decided on a dose that we thought would be high enough to have a biological effect, but not too high that there would be side effects that would force people to drop out. It was kind of a complicated study because we also wanted to look at the accumulation of amyloid and tau in the brain. 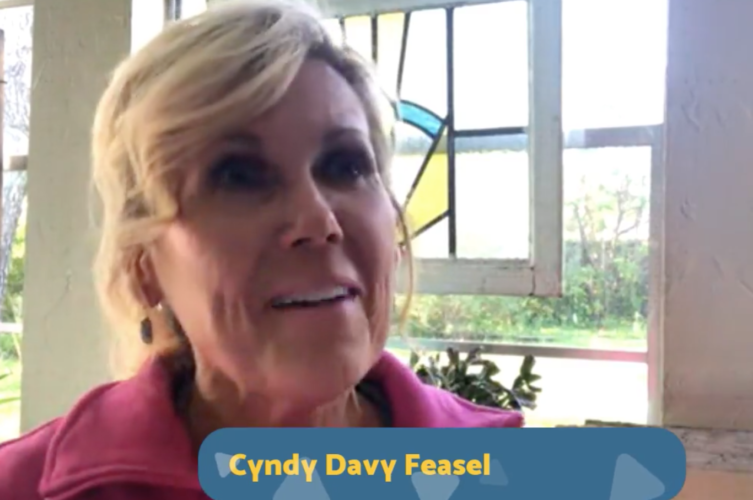 Several of us who were involved in this study had invented PET scan technology years earlier that provides images of amyloid and tau in the brain, so we wanted to use that technology to track the baseline and follow up. Being Patient: Did everybody who participated in the study have the basic biomarkers of plaques and tangles in the brain? Dr. Gary Small: That’s not entirely true. That’s another discussion, but we’ve done hundreds of these scans and it turns out that these plaques and tangles probably build up in all of our brains over a lifetime. It isn’t until they reach a critical level that we see problems. Plaques and tangles are just protein deposits that define the disease, and they collect in areas of the brain that control memory and thinking. My opinion is that it’s inflammation that’s really driving this process and the plaques and tangles that build up may be a secondary event, but it is still a way to track how you’re doing. Not everybody got the scan because after we started the study, the scans went up in price, so we didn’t have enough money to scan everybody and that was another limitation of the study: Only about 40 people completed the study. As a result of the design issues, we wanted to do a long-term study because we wouldn’t be able to see an effect on plaques and tangles after a month or two months, so we designed it as an 18-month study. Our previous study showed that even in people with mild memory complaints who don’t have dementia, you can see a significant buildup of these plaques and tangles over an 18-month period. So we thought if this thing is working, at the very least, you may not see a buildup as a result of the treatment. We have data on 40 people. About half of them had the bioavailable form of curcumin; the other half had the placebo. We had PET scans on 30 of them before and after. Being Patient: What were the results of the study? Dr. Gary Small: The results were quite encouraging. We do a lot of these different clinical trials. We look at whether memory training, a healthy lifestyle or other drugs and supplements help. And we don’t see results that are as strong as we saw in this study. If you look at a measure that’s often used in these studies, it’s called an effect size; an effect size is a ratio that incorporates the actual effect of the active compound and compares that to the placebo effect. Unless you do a placebo-controlled study, you don’t know if something’s really working, because a placebo works, but it’s only temporary. We want to factor that out. The effect sizes on memory and attention were about .4 or .5, which is considered a moderate effect size. To put that in perspective, the drugs that have been approved for Alzheimer’s disease have effect sizes of .2 or .3, which is a bit smaller. That was encouraging that we saw these positive effects. 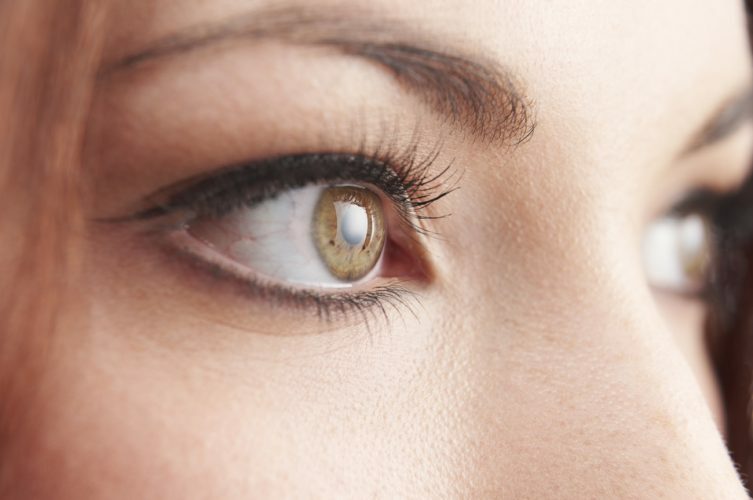 The effects—we started seeing them after six months—and they built up over the 18 months of the study, so it was encouraging to see something positive, and of course, we’ve got to replicate this in a larger sample; we’re currently planning to do that. The other thing that was interesting in the study was that in the 30 people who had the PET scans, a couple of the brain regions—the amygdala and thalamus—showed a significant change in terms of the buildup of plaques and tangles. Because that was a smaller sample there, I’m saying that’s sort of other evidence that’s intriguing, but that too has to be replicated. To me, what’s most important is that there’s a clinical effect—that it’s having an effect on memory and attention—issues that bother people—and it seems to be very safe. People didn’t have a lot of side effects. Being Patient: Did any of the people you tested have the ApoE4 variant, or the Alzheimer’s gene? 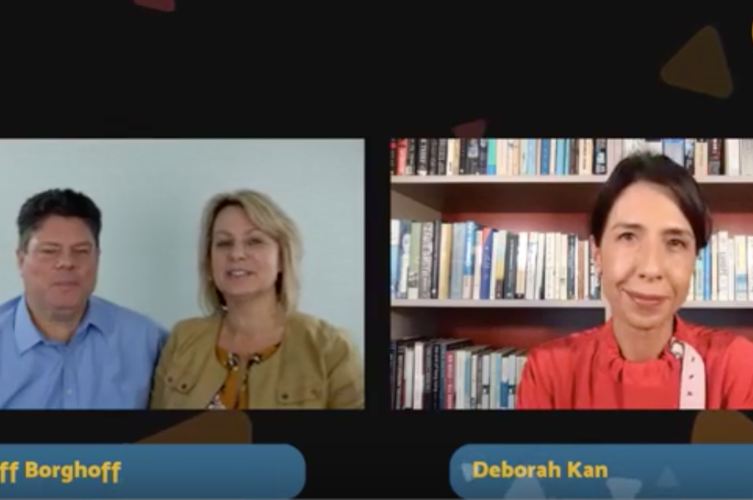 Dr. Gary Small: Yes, we looked at that, and we always collect data on genetic risk because sometimes, you may not find an effect in the general population, but you find it in either the ApoE4 carriers or the non-carriers. Unfortunately, the sample size was too small to show whether ApoE4 carriers are more or less likely to respond. Being Patient: Will you look into that in the future? 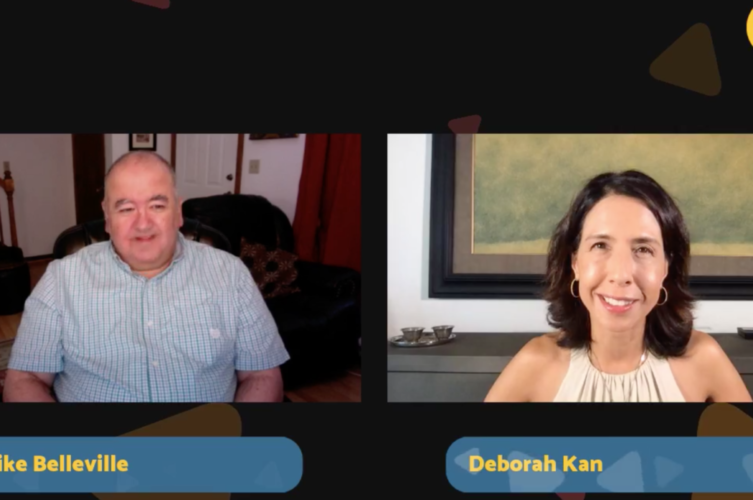 Dr. Gary Small: Oh yes, if we get a larger sample in a follow-up study, we’ll look at ApoE4 and a lot of questions we didn’t answer in the study. For example, our sample population was a bit heterogeneous because we had people with what’s called mild cognitive impairment and people with what’s called normal aging. If you plot cognitive decline, there’s really three general stages: 1). Normal aging, which affects almost everybody: People can’t find their keys or forget someone’s name. It doesn’t really affect their life that much. 2). If that progresses, then people develop what’s called mild cognitive impairment, which is a risk state for developing dementia. 3). Dementia is when your cognitive impairment interferes with your everyday life. We’re not sure whether it was the MCI group that was driving the result, the normal aging group or both, because again, it was a small study. Being Patient: When people discuss the pathology of Alzheimer’s disease, they discuss the plaques, tangles and inflammation, with inflammation being the stage where you start to see symptoms of Alzheimer’s. Is it the anti-inflammatory properties in curcumin that you think could help prevent Alzheimer’s or improve brain health in general? Dr. Gary Small: We don’t know. It’s a list of mechanisms that we entertain. One reason my thinking is going more and more toward the anti-inflammatory effect is, if you look at the different interventions that we’ve tested and others have tested, there seems to be this anti-inflammatory theme. About 10 years ago, we studied a similar population of a similar size—people with either normal aging or mild cognitive impairment—and it was also an 18-month study. We randomized them to an anti-inflammatory drug or placebo. We saw cognitive benefits and did brain scans. We did a different kind of brain scan, where we used PET to look at the functioning of the brain cells by how well they metabolize glucose, and we saw an effect on that as well. Then, we’ve done studies, and others have, looking at physical exercise, for example. That’s one of the most potent ways to protect your brain and exercise is an anti-inflammatory activity. I know if I have aches and pains and I workout at the gym, I don’t feel as much pain; I feel better. And I think it’s that anti-inflammatory effect. Being Patient: How do people know how to pick a product with curcumin and what product will have an impact? Dr. Gary Small: Let me disclose my conflicts of interest. When we started this study, I didn’t have any involvement with any of these companies that produce curcumin. We got money from foundations to fund the study. When we decided on the company that’s called Theravalues, they agreed to supply the curcumin. It’s a brand of curcumin they make called Theracurmin. We disclose that in our papers. Since we published the paper, the company has asked me to help them in designing future studies, so I have that conflict of interest. We decided to use the brand Theracurmin because bioavailability studies that have been done on this were convincing; also, to convince ourselves, in our paper, we compared the Theracurmin to a GNC product and another product. We showed that indeed, Theracurmin seemed to be more available in the blood when people consume it, compared to some of the other products. If consumers are interested in it, they can just go online. This company actually sells it to other companies, so you just looked for Theracurmin in any of these products. Being Patient: How much Theracurmin do you have to take? Dr. Gary Small: I don’t know how much, but I can tell you how much we tested that seemed to work. It would be Theracurmin containing 90 milligrams of curcumin twice per day. Being Patient: Was that administered in a pill form? Dr. Gary Small: In a capsule, yes. There were some side effects. A few people had a little bit of an upset stomach; if people experience that, they can take the capsule and open it up, then put in a little water, and it will dissolve so that it’s probably a little easier on the stomach. If you drink it down with a meal, you might be able to tolerate it better. You can also sprinkle it in your food. Being Patient: Couldn’t you also just eat a lot of curry? Dr. Gary Small: You could do that. I mean, one could argue that. One study that got us interested in this found that people who eat Indian food more often perform better on memory tests, so you could go out there and have curry a couple of times per week. Being Patient: You mentioned that people in India have a lower incidence of Alzheimer’s. Was the study that looked at India’s population and Alzheimer’s rates an epidemiological study, and what did they find? Dr. Gary Small: Yes. Epidemiological studies like this just show you associations, so there could be a lot of reasons unrelated to their spicy food consumption that can be attributed to their lower rate of dementia. For example, we know that people who are loners have a higher risk for dementia. Maybe in Indian cultures, there’s stronger family connections and ties that could mitigate against that risk. There have been studies that look at rates of dementia in African Americans, comparing it to rates in Nigeria. They find lower rates in Nigeria, which some researchers attribute to their simpler diet. It could be a lot of different things. That was just a clue that got us in that direction, but it got people to look more carefully at some of these spices and how they might be able to protect our brains. Being Patient: Did you look at curcumin’s impact on other conditions, such as diabetes, or is that being studied at all? Dr. Gary Small: Yes, other investigators have looked at curcumin in different ways. They’ve looked at it for cancer. One thing that people have been talking about is that they sell curcumin in some countries as a treatment for hangovers. They have little gummies that they chew. But another incidental finding is quite interesting. People have written to me and they’ve said, “My gums are healthier,” which is an interesting observation because we know that gingivitis, particularly in older people, increases a person’s risk for dementia, so what I think is happening there is that gum disease is an inflammatory disease. I think these kinds of diseases trigger a systemic inflammatory response; it gets into the brain. And who knows, maybe that’s the mechanism of how it’s working: It’s curing people’s gingivitis and that’s helping their memory. There’s a lot of possible explanations. Being Patient: What will your future study on curcumin’s effects look like? Dr. Gary Small: It’s interesting to me because I’m not a statistician, but I work with a very bright statistician. You think, “OK, you had 40 people in this study, so all you have to do is go out and get another 40 people, right?” No, it doesn’t work that way. We do something called a power calculation, based on the estimated effect. We’ve got to do another study that includes hundreds of people. I’ll consult on this study, but I don’t think we’ll include UCLA as a site. We have to show that this brand of curcumin works not just at UCLA—it works at a lot of places. So I think it will be a multi-site study. It will probably use similar kinds of tests. One thing that we were very careful of, because we’ve done so many of these studies, is to use sensitive measures. You can’t use the same kinds of cognitive tests that you use on a patient who already has dementia. It’s got to be something that’s harder for people to do so you can actually see the subtle effects of any potential benefit. Being Patient: Do you have to take the curcumin out of the tumeric to get that extra concentration, or is just having tumeric good enough? Dr. Gary Small: Those are questions that haven’t been answered. One might argue that if it’s true that consuming spicy foods may be enough, then maybe that’s the ticket, but it would be interesting to compare these capsules to a turmeric-enriched diet and see if that’s enough. Also, there may be something about cooking with these spices that makes it more available to the body and the brain, so it might be combining it with oils and other spices that make it more absorbable. Being Patient: If so many people are consuming turmeric on a daily basis, it can’t be too dangerous for us, right? Dr. Gary Small: That’s true, unless you’re allergic to it. Having said that, we still have to be careful if we test these capsules or supplements, and people should be aware of that. There’s a lot of interest in supplements, and the way it works in this country and most countries is that the bar for getting something sold is not nearly as high as for a drug. To get a drug approved, you have to do several double-blind placebo-controlled studies, and it has to be reviewed by proper groups. A supplement can be sold and put on the shelves with just structure/function claims, so there can be a laboratory test, and it looks like this spice or this supplement strengthens brain cells or strengthens muscle cells, and a company can sell it based on that. Where the regulations come into play is if the FTC sees that there are claims that really go beyond what the data shows. Consumers need to be aware of that and realize that to truly show that something’s working, you have to test the compound against the placebo, and double blind means neither the research subject, nor the doctors know who’s taking what. You use systematic measures to show there’s an effect. Curcumin is safe, but always talk with your doctor because supplements could interact with your drugs. For example, a lot of people take Vitamin E, and they were taking it for memory in the past; that can increase blood clots, especially if you’re taking something else that might increase blood clots, so just because it’s natural doesn’t necessarily mean that it’s safe.